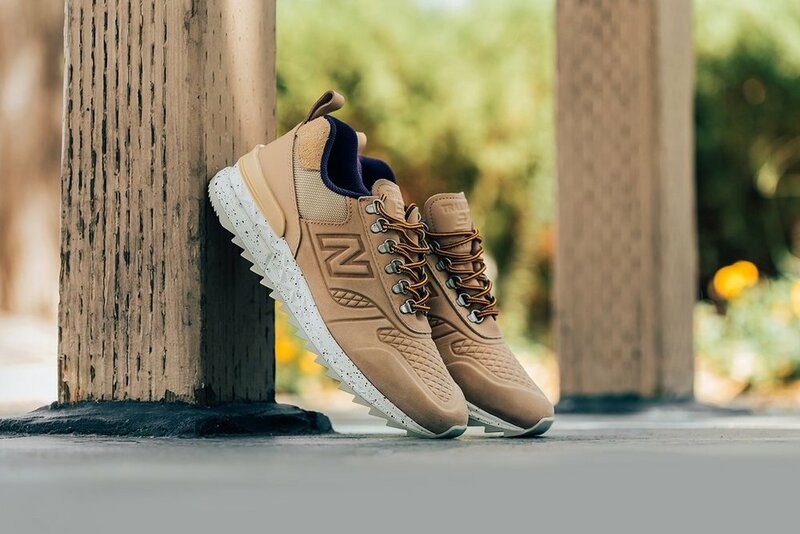 New Balance gives their All-Terrain Trailbuster a Re-Engineered treatment as part of their latest delivery. Constructed from a premium nubuck-leather, the mid-top sneaker showcases a sandy Dune hue throughout the lightweight upper. The lace-up front features metal D-ring eyelets and round woven laces furthering its All-Terrain motif. A navy liner is complimented by tan suede panels at the heel, and and a cleated rubber midsole for added traction. Finishing details include a branded heel pull tab and tongue, as well as subtle speckled details on the midsole. Available now at selected retailers such as Feature.